Thanks for purchasing an eBook! We hope it is used of the Lord for your good. If you were just at the download page you can skip to step 5 in any of these instructions. I have an iPad/iPhone and want to read in iBooks. I have an iPad/iPhone and want to read in the Kindle App. Open your email through your iPad. Open the Order Confirmation email from Granted Ministries. Find the line item for the ebook you would like to download. You are now at the download page. Click the .epub file. 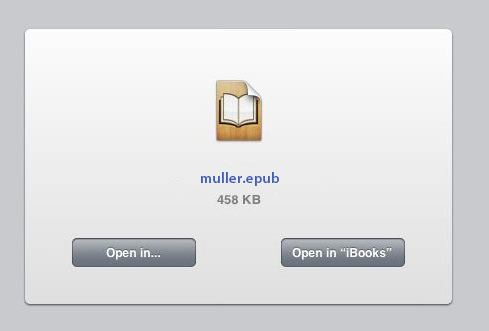 Click "Open in iBooks" from the iPad window that loads. You are now at the download page. Click the .mobi file. You are now at the download page. Right click the .mobi File. Go Back to your email, create a new message and attach the file you just downloaded. You are now at the download page. Right click the .epub file. Connect your Nook via the supplied USB cord. Drag and Drop your downloaded epub file into the "My Documents" folder.